Return land transfer, entrance fee, animal show. The park consists of two components: zoological and botanical. The main objective of the park is to become a family-oriented park and the emphasis is put on the Children’s Zoo. Among the inhabitants of the zoo (zoological component) are the Borneo Pygmy elephants, Sumatran rhinoceros, Orang Utan, Proboscis monkey, Malayan tiger, as well as some different species of deer. Open only on Weekends, School Holiay, Public Holiday. 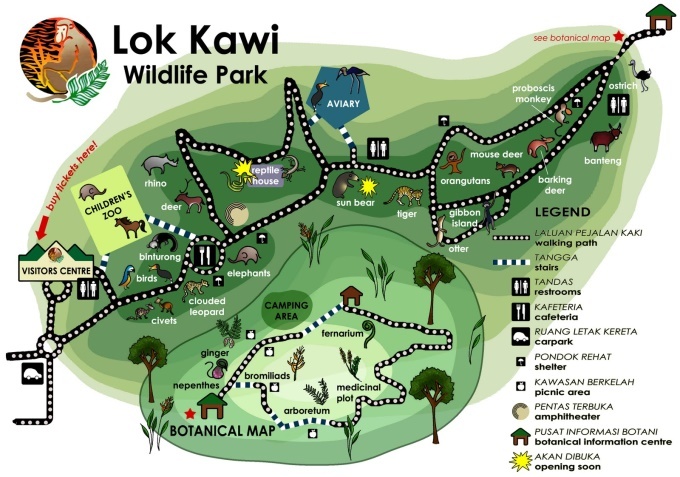 Meet at hotel lobby, proceed to Sabah Lok Kawi Wildlife Park. Reach and visit the park. Transfer back to hotel / lodge. Please allow 2 to 3 hours for this trip. You may request for afternoon tour at 1:30pm.